If you are letting or selling your house in the Romford area or you just need to clear your house we take the hassle out of this process. 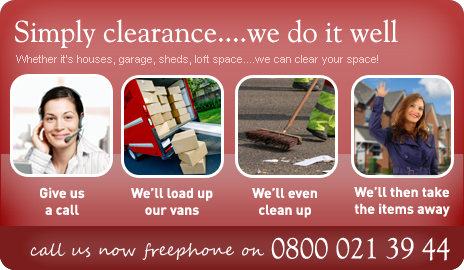 We are a well run family business with over 30 years expertise in house clearance. Any aspect of house clearance we can solve whether it be garages, houses, sheds, attics and more. A selection of estate agents is listed below. If you require further information about our removal services click the below link.